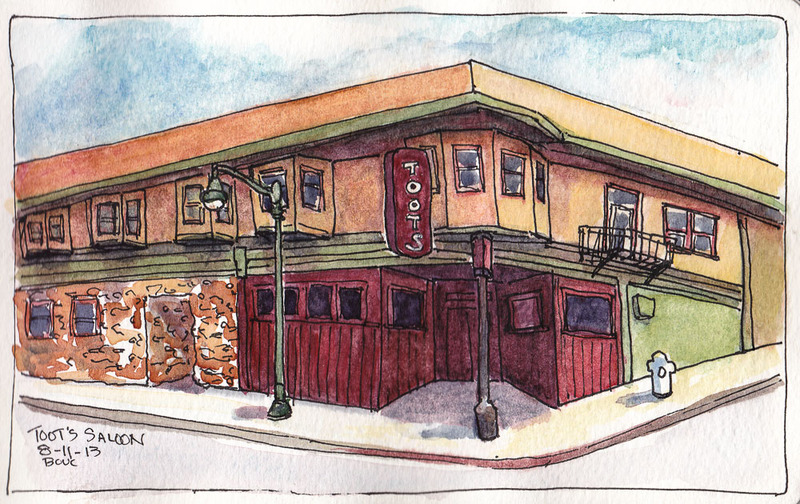 I struggled sketching the building containing this rundown bar on site (below) in downtown Crockett. The many bay windows were especially challenging. Despite my love for detail, I realized I needed to crop my view. So later I worked from a photo and did the better sketch above. I actually liked the version below before I added watercolor to the ink drawing. 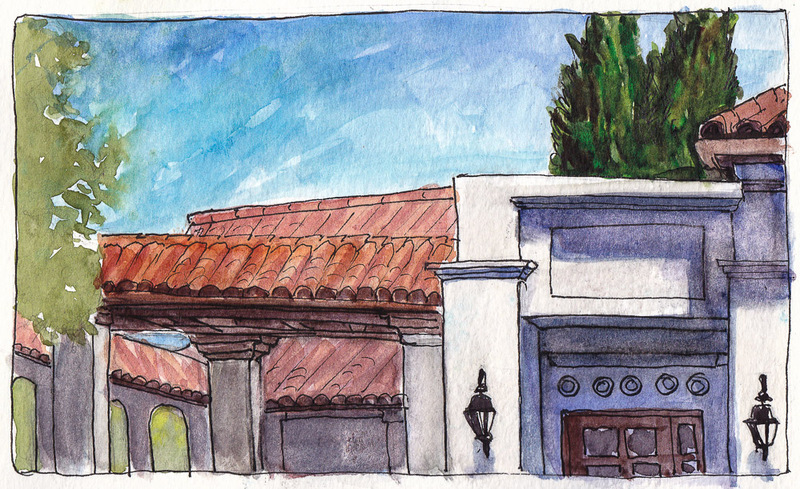 And below, another sketch where I struggled: first to find something to draw in the short time remaining after a plein air watercolor demo at St. Mary’s College. 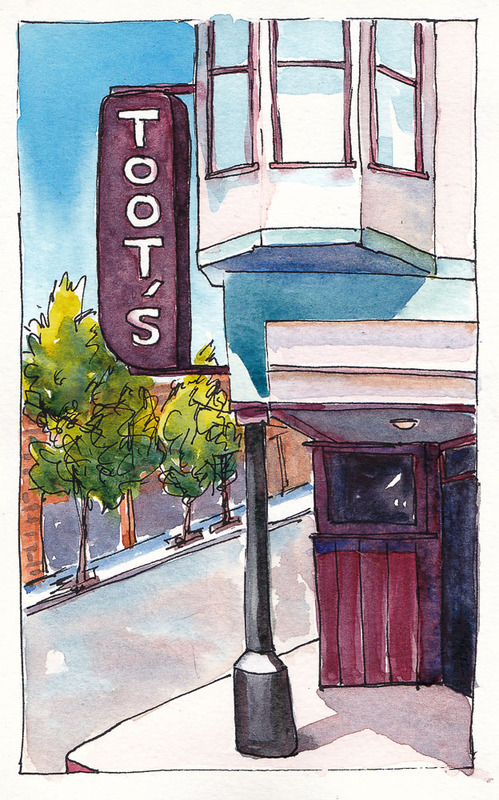 Then I struggled with using another artist’s watercolor palette that had way too many colors. I couldn’t tell which colors were which and ended up with a lot of mud. Since I always seem to get behind on posting I’m tempted to just post my best work and keep the funky ones to myself. But my journal is the record of my journey and each sketch is a stop along the way. Thank you Jana for posting the “funky” along with your “best” work. It is encouraging to those of us who struggle with less than “perfect” pages. I enjoy seeing the progress like your funky pages!! I agree, I love that you post the funky along with your best stuff. And honestly they all look good to me!! !